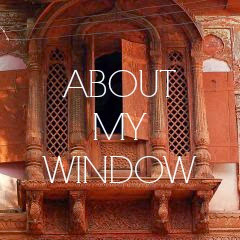 India Outside My Window: Free Burma! Today international bloggers are preparing an action to support the peaceful revolution in Burma. They want to set a sign for freedom and show their sympathy for these people who are fighting their cruel regime without weapons. 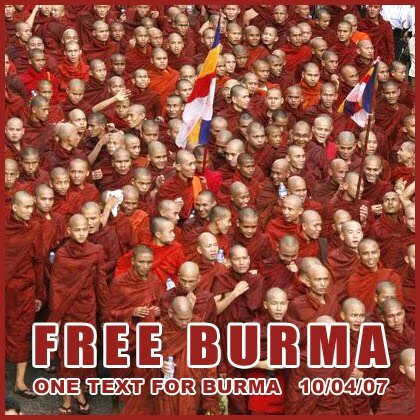 Today bloggers around the world are refraining from posting to their blogs and are just putting up a banner with the words "Free Burma!". I have been following events in Burma for a long time and am concerned about the harsh political situation, the massive abuse of human rights and the continued detention of Aung San Suu Kyi who was democratically elected in 1989 and has been under house arrest almost continuously since. What happened to FREE TIBET? Everyone seems to be sucking up to China, Tibetens are forgotten.